We are just trying to figure out all the components of the concept of mutual guarantee. The guarantor of this guarantee is the Creator, the Upper Force. And this force should be manifested in every action: at its beginning, in the middle, and at the end. The Creator is very “jealous,” and if we forget Him, He immediately abandons us, and we fall right away since all our progress occurs only because of Him. What is the difference? After all, the Creator supports all of nature: the still, vegetative, and animate levels. But there we do not have to participate in our relationship with Him consciously. But on our human degree of development, we have to be directed to the Creator all the time. Otherwise, what kind of man is Adam if he does not dream to become like (Domeh) the Creator? Thus, we need to worry about the missing component in our advancement: about the Creator! We may not immediately succeed and at first we will have the feeling that we lack something to maintain our unity. Indeed, we always start with the revelation of our breaking. But the Creator must be at the beginning and at the end of any action, and in its every moment. He should connect us like the force of guarantee, the correcting force, the example that we want to see before us, the reference system. I see Him in all the friends and inside the raspberry ball: the point of our unity. I understand that it is He who realizes our connection and unity. I see only Him-Him-Him! In essence, what do we work with friends for? We work together on the revelation of the Creator between us! He is the most important, honorable guest, we wait for Him, getting ready for His arrival! We prepare such a connection between ourselves, such expectation and hopes so He will come! We need patience and time in order to understand the concept of integral education. We began to talk about it three years ago and during that time some people have left us, others still don’t understand it, and there are those who don’t want to hear or know anything about it. We hardly hear what it is about. I hope that at least during the month we have left before the convention I will be able to break this resistance. It is the “iron wall” that Baal HaSulam speaks of! The wisdom of Kabbalah is integral education, but we don’t want to accept that. People express their objection to the idea of integral education and leave the groups and cannot understand our work with the public. This is natural, since we are fighting against the main egoistic principle of the whole world. So give us time to advance a little. Let’s hope that there will be a breakthrough in a month and the idea that the change depends only on mutual guarantee will be imprinted in everyone. This is what we are discussing now: The means for spiritual change is mutual guarantee. Do you want this change? Go ahead. But I warn you that if this is what you are coming for, bring money—a banknote of mutual guarantee. If your banknote is valuable in terms of mutual guarantee, you will receive everything. Question: People who come to a group not only possess different potentials, but they also have problems with a different type of desire: Someone is still not finished with his work on desires of a physical nature and for someone else the most essential task is a struggle, for example, with his lust for power. Answer: Nobody is struggling with anything. For a person who is learning the integral method there is no struggle with himself, with eating himself up, with self-flagellation, and even with self-examination. There is nothing in him to clarify, for this is absolute ego. It’s preferable to not open this “can of worms” and not examine it. The only thing that is required is to go out of yourself into all the others, to create the center of the group so that it will exist by itself without dependence on others. I call this a “raspberry ball” that begins to shine among everyone as a result of our altruistic drives. From What Does Integrality Begin? Question: Is there any importance to the level of development of the ego that is found in the person who learns the Integral Method? Answer: When we create an altruistic channel within the person, when he is included in the collective, then it is not important to us who he is at all! One could be an academic and another could be a homeless bum. There is no significance in it. In the integral circle they are absolutely equal in value. There is no preference or advanced rights for anyone. In integral development there is no difference between a scientist, a psychologist, a politician, or a simple person off the street. Regarding our method they are all equal. Only one thing is important to us: Before us sits a concentration of egoistic energy and we need to give these ten people their method of correction. Suppose that I am a doctor and people come from a variety of professions for treatment, I don’t treat the musician by teaching him how to play correctly, or the mathematician, I treat the illness! Here it is the same thing! We don’t check the science degrees, the certification of assets, or the education. Regarding the integral method they are nothing! Ten people sit in a circle, everything that is in them is reduced to zero and we start from this point. “Political expediency, a failure to think and act globally, and a lack of courage to take on vested interests are pushing us inexorably toward the next crash. We will have another crash soon … because absolutely nothing has been fixed. Indeed, things have only gotten worse since the last crash. My Comment: As long as we have not defined our own restructuring as a necessary and sufficient condition for the solution to all our problems, we will inexorably approach new problems. The language of the method of integral education and upbringing is the language of emotion, and with it, we must turn to the masses. It is very important to show people how friendly we are to each other. They must feel us as one collective whole, as if we were born from one mother. There is no difference between us. We think identically, understand each other without words. A new spirit, a new orientation, emanates from us. This is precisely the sensation that we must convey to our audience, and this is their lesson. The wisdom of Kabbalah is not transmitted with any words. You can learn it for ten years and in the end simply become philosophers who don’t feel inner changes. It is conveyed only through inner sensations and feelings, through the inner force that passes from teacher to student, and this depends on the link between us. Therefore, first and foremost, the link between the audience and the lecturer is arranged when the audience begins to feel that something unique is happening here: A unique inner force is entering into him that dissolves in him, and we transform into one comprehensive, homogeneous body. 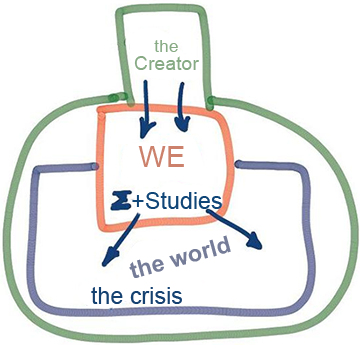 This is specifically what is important to convey to the listeners about the method of integral education. All of us know that the desire to receive is matter, and in other words, is the basis of the entire creation. Desire is all that the Light (the Creator) created. Therefore desire is called “something from nothing” for it didn’t exist before the Light created it. This is the only action, the act of creation. In continuation, the desire to receive evolved from the zero phase to the fourth phase, and with the influence of the Light it began to feel its existence, that is, who it is and what it is. In this state it suddenly began to feel itself as receiver. If it just created me this way, this is one thing, and in addition, I also understand that I want to receive and enjoy the reception; this is something else already. Here we are talking about intention: The desire to receive revealed the intention within it, and it was the opposite of the intention of the Creator. 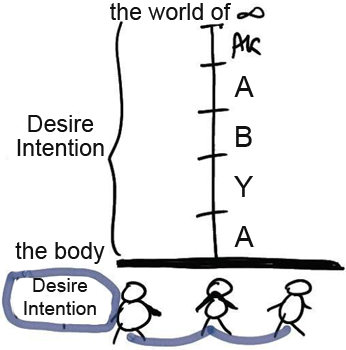 Therefore an immense gap was created between the intention of the desire that was created (an intention for the sake of receiving pleasure for itself) and the intention of the Creator that the desire feels (an intention to give pleasure to the creature, to fill it, to be concerned for it and so forth). The feeling of the great gap, the feeling of concealment arouses in the desire to receive what is called, Tzimtzum Aleph – first restriction. In fact, this was the beginning of creation. With the influence of the existing conditions, the desire to receive begins to do something by itself. It begins to receive only in order to give pleasure to its Creator, meaning it tries to be like Him. And this resemblance to the Creator is the first world among the five worlds (because the desire to receive is comprised of five levels), the world of Adam Kadmon (AK), which is Adam HaRishon (first man), the prototype of man. This completes the first stage since the desire to receive cannot do anything further. In order to continue to realize itself, new actions are needed. The details of these actions are most interesting. From below the Tabur of the end of Galgalta ve Eynaim, a mixture of the desires is made, more precisely, this is a mixture of the intentions Lo Lishma and Lishma. After this, Tzimtzum Bet, the second restriction, is made. It gives a push to the continuation of development that is so great, that at one time the desire to receive receives the Light within itself as if it is Lishma, and then it discovers that in spite of all this, it is not prepared to do this, it doesn’t have it within its power to keep the right intention, and it receives everything for itself. The state in which the egoistic fulfillment is revealed is called the shattering of the desire to receive. And after this, within this shattered desire, new worlds appear, new systems are built. And all of these systems are already built in a state in which the desire to receive understands and is aware of what it is, who it is, and how it must construct a system in which it can be repaired, meaning, to move from the intention in order to receive to the intention in order to bestow. All this takes place when nothing exists yet besides the two desires, the two opposite forces, in other words, even before our world is formed, before the Big Bang, before our universe, before everything. These two forces construct the entire system of control through which four worlds appear: Atzilut, Beria, Yetzira, and Assiya (ABYA). Thus the control system is created. 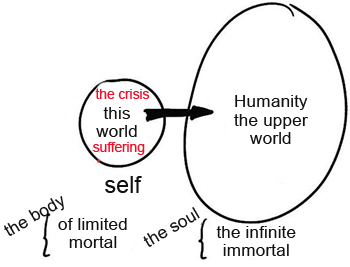 And after this, from that central point of the world of Infinity, Olam Ein Sof, (∞), which felt shame and therefore made a Tzimtzum, restriction, a unique inner Partzuf is formed, a very unique small inner system. This is called Adam and its goal is to absolutely resemble the Creator, to bring the entire desire to equivalence of form with Him. This system also passes through a shattering, a division into a multitude of parts that fall into our world. What is this world? In it are the conditions with whose help the desire to receive can correct its intention. How does it do this? It does this in a form completely independent of the Creator. Otherwise this wouldn’t be an independent correction and the desire would not be independent. Therefore, after the five worlds: Adam Kadmon, Atzilut, Beria, Yetzira, and Assiya, the descent through all 125 levels beginning from the world of Infinity and to our world here, under all the higher worlds, a unique level is formed. This is unique in that here bodies exist, what we comprehend as bodies that are born, develop, grow old, and die. And in addition to this, these bodies are also divided into males and females. A complete system is formed here of the action of forces, which in our state and consciousness are felt as bodies. In the spiritual worlds, only desires and intentions exist. And in our physical world, there are three factors: the body, desire, and intention. And for this reason, the bodies can reach different relationships between them, mutual approach and distancing. And this approach and distancing does not necessarily influence the desire and the intention. The desires can be completely different, the intentions can be completely opposite, very bad, and simultaneously among the bodies there can be closeness. And we see this in our world. Politicians or people who hate each other gather, let’s say, “hiding a knife or a gun” behind their backs, smiling politely, shaking each other’s hands, talking and agreeing about things between them. This is the uniqueness of our world; this is its advantage and its deficiency. Here, without correcting the desires and the intentions, it is possible to approach each other through the bodies. And if we don’t understand this condition, the uniqueness of our world, if we judge the inner closeness according to the outer closeness, then it’s clear that we lose. An additional example is sexual attraction. In general, at a young age people don’t yet understand that this is a corporeal drive. And as a result, there are many problems. People don’t understand that the main intimacy must be much more deep, internal, intentional, the purpose of life. When you cannot reach this goal without another person, then there will really be true intimacy. Therefore in our world this image of “bodies” is formed, a true illusion. It’s divided into four levels: the still, vegetative, animate, and speaking nature. And as is known to us from a part of Kabbalah called the perception of reality, all the bodies appear only in our internal imagination. The entire immense material world is felt as only external. However, in fact, it’s revealed this way only in our consciousness. Physicists, biologists, and psychologists have already spoken about it. But on the other hand, this is the uniqueness of our world, and in general, the accomplishment of the entire process of evolution of creation, for it brings us to a state from which we can begin to come close at least corporeally. Where does all this lead? 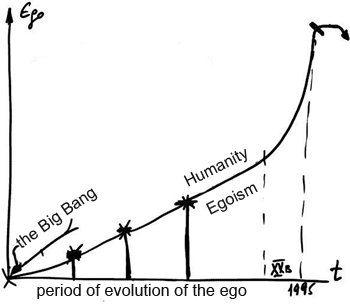 Throughout history humanity has developed according to an interesting law, the law of the growing ego. If we are talking about simple nature, then also in it first the still level evolves after that the vegetative level, in continuation the animate level and only after that the human. However, these stages are temporary since the process reaches some stage and afterwards stops and doesn’t continue to evolve more. This is gradual evolution in stages. All of us know what natural cataclysms happened during evolution on the surface of the earth. And after that, the human evolved from the ape. 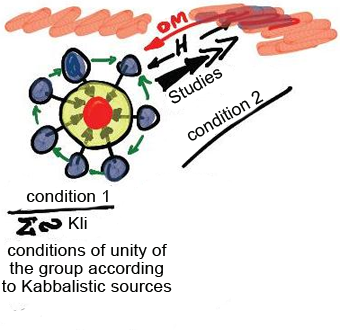 Kabbalah reveals to us why and how this happened. It’s clear that the Kabbalists wrote about this much before Darwin. This is talked about in The Book of Zohar, in the books of the Ari (the Kabbalist who lived in the 16th century) and in introduction to “The Study of the Ten Sefirot” which is the commentary to The Book of Zohar by Baal HaSulam. Human evolution is most interesting: Hundreds of thousands of years passed until in the 20th century the most serious exponential evolutionary stage arrived. In the beginning of the 21st century, we have reached a state of saturation: The ego stopped evolving and even began to decline a bit. In other words, we have begun to understand that there is an end to the ego. We yearned all the time to reach the peak of our evolution; our ego grew and we thought that this growth could be infinite. Especially in the 20th century the American dream of general happiness in a society of unlimited infinite consumption attracted us. It seemed that we could see and know everything, that we could enjoy everything, that all of us would be free and happy, that we would live hundreds of years and even more. Everything seemed like a rosy dream. We were sure that our children would live much better than us; that it would be possible to live both for our sake and for their sake, that is, we would be twice as happy. After that, the ego grew to a state in which both for us there is no life and also for our children it will surely not be better. Already as of today, we are watching this and know. We are preparing a world for them that is bad, much worse than the present one. This is felt in natural disasters and in everything that is happening in the world. Even the undeveloped nations have quickly reached some threshold and are beginning to fall. And so our ego has led us to a dead end and we see that we have reached the “end of the line.” The Kabbalists indicated this point as 1995. This is the unique indicator that Baal HaSulam pointed out. In his opinion, from then on, humanity would become conscious of the end of its evolution and that our ego is not infinite. It is about the end of the process that began with the Big Bang that was the beginning of our universe, supposedly 14 billion years ago. Beginning from the Big Bang until our time, all of this period, was a period of the evolution of the ego. And here it reaches its end. Can you imagine what a unique time it is we are living in? As of today the ego is beginning to “fold up,” and we see this according to the cases of depression, the problems in the family (children, divorce), the social condition, the relationships between us, the advancement towards a new world war, and so forth. People see anew all the time the lack of perspective. The egoistic state, for its own sake, Lo Lishma, is outliving itself. We are not prepared to be detached from it, but it no longer seems to us as something absolute, certain, and unshakable. Thus, nature obligates us to change the old perception, our relationship towards the world, towards life, and towards ourselves. Kabbalah talks about this, that precisely now, humanity has the opportunity to reach awareness of the end of its evolution and to think again about the goal of its existence: Do we really exist only for the sake of our bodies? Whether or not we truly comprehend our world only through our bodies, absorbing everything through the five senses: seeing, hearing, tasting, smelling, and touching? Various kinds of waves influence us and we perceive them and see the world on some kind of inner screen. But do we perceive everything? Do we exist in the right form? Through our ego, through concern for our bodies alone, are we not inserting ourselves into a psychological trap of information that contracts and destroys our attainments and emotions, our existence? In brief, come, let’s check again, are we right or not about our conservative egoistic approach? This is the uniqueness of our time, the time of the discovery of the wisdom of Kabbalah as a means that makes it possible to discover within us the new feeling. It makes it possible not to be locked into our five “beastly” senses that die together with our bodies and to develop in us a new inner sense that doesn’t depend on our body. This is called the Neshama, soul. In principle, this is also a body but a spiritual one. We develop it very easily through a change in intention from “for myself” to “for another.” This helps us exit the limitations of ourselves and begin to feel what others feel. For if I feel everything within me, then my reality is called “our world,” and if I can feel everything in everyone in humanity, then I feel an upper world, only if I can enter into the feelings of the other and be outside of myself. The sufferings that we feel in us are the true crisis. And this is a gigantic help so that we can go out of ourselves and begin to feel the world that exists outside of us. And then a state arrives like this, that in principle, it doesn’t matter to me what I feel within me. It’s as if I am living within the other, and thus I pass from my limited, mortal “self” to the infinite, immortal “self.” This is what the wisdom of Kabbalah gives us. And essentially it gives us much more. For death is linked to my “beastly” body and Ein Sof is linked to the soul. In other words, I enter into a completely different area, into a new dimension within which I truly exist. And I begin to feel this world as imaginary, that it doesn’t really exist. This is because it exists only within my erroneous imagination, within my egoistic perception where I am centered only on myself. And so our world is unique in that here we can come close with the help of bodies, even with different intentions. 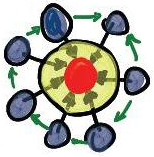 We can gather together in a circle with a number of friends, next to a roundtable and begin to connect with each other. And even though the connection between us is artificial, even if from the beginning we have no good intentions toward one another since from our nature we are egoists, yet there is a group, there is a roundtable, there is a “playground” in which all of us can join together and support one another in this connection, and between us there exists a circular Arvut, mutual responsibility. It is possible, for it’s up to us to reach a common goal. And we utilize all of the material opportunities, all that is in our hands. About this it is said, “Everything that is in your hands you should do.” We try to reach connection between us in which each one can exit himself and be a single whole. For what is this imperative? It’s only in order to help one another. There is nothing more than this. Why does this single whole exist? Why did the shattering of the one desire into a multitude of desires happen? Only so that through this we would yearn for mutual help, meaning that each one could go out of himself for the other. Thus we yearn for some kind of common whole, even though we don’t want this, but we try to act together with the help of the bodies. We gather in a group, we carry out various activities, arrange conventions, study, teach, and educate ourselves. We try to reach connection between us, a “raspberry ball.” And our impulse passes from one to another. We can support each other, awaken one another. We can magnify and enhance the connection between us psychologically. And the first condition is in this, that the connection must exist according to the laws that were written for us by the Kabbalists. For this unity, the agreement must be like a Kli meaning the characteristic of maximal bestowal and love, as much as possible. The Kabbalistic articles that our teachers left for us direct us towards it. They wrote and recorded for us what the connection must be; they determined all of its conditions. Therefore, the “agreement” between us must be like a Kli. And in general there is no need to invent the conditions for connection. By means of our distorted mind that pushes us egoistically wherever it will all the time, we invent only what is useful for our ego, but in no way or manner towards spirituality. We don’t understand what this spirituality is and therefore we need to listen to the sources. This is very important because there are a multitude of “sages” who begin to invent something themselves and it’s clear that after some time they fail. They are ready to destroy this life for us and we don’t succeed in attaining what we are seeking. But there is also the second condition: It’s up to us to explore the upper world, in other words, what we must attain. And also our studies must be based upon the sources, on the books that were written by people who attained the upper world. We aspire the upper world, and to the degree of our yearning to be closer to it, to the degree of the tension, we receive an influence from it called Ohr Makif (the Surrounding Light). It illuminates everyone, it just illuminates, it is everywhere. But it will continue to illuminate us only to the degree that we yearn for it. When we want to approach it, then to that degree we awaken a stronger Light onto ourselves. As with the Doppler Effect new internal characteristics appear in me specifically because I am found in a uniform field of equal voltage, but if I move in it, then a voltage is created in me like the electricity that is created in a wire under the influence of a magnetic field. This is the well known Law of Induction; everything that has free electrons in it can be used as a conduit as it moves within the electric field. So we also move in a uniform field of Light, and to the degree that we yearn for it, meaning, try to move more rapidly, to reach, to attain, and to discover it, to that extent there arises in us “induction,” “induction currents” are formed in us. And they change us, our intentions, from Lo Lishma to Lishma. In the beginning we don’t understand how this happens, but gradually the phenomenon acts. In this way, all of the development that is expected for us leads to connection. Therefore, there exist various drives like these in nature, like the attempts to connect nations, various corporations, professional organizations and large industries, international unions like the European Union and so forth. But we don’t know how to connect. Therefore everything happens the opposite way. The Soviet Union also broke up because it could not unite everyone on a common spiritual basis, and Europe will also break up; what will be the result of this is not known. Also, the United States and, in general, all of the unions will begin to break up because all of them are built on mutual ego. Only if we begin to understand that it’s up to us to connect, then we will pass through this way, this transition from mutual distancing to mutual attraction, in a good, easy, and comfortable way. And for this the wisdom of Kabbalah was given to us. But if we cannot use it, then regrettably we will be pushed towards greater suffering, mutual hatred, with great losses for all of humanity into World War III and IV, and so on…. And so the unification of our world is in this, that specifically in it we can reshape our intentions from Lo Lishma to Lishma and do this completely independently without being dependent on the Creator, that is, to construct for ourselves equivalence of form to Him without being under His revealed influence. We are prepared to build a state between us that will be similar to spirituality and to awaken upon ourselves the Light that Reforms and advance in this way. Therefore the solution is only in connection between us. Accordingly we have developed Integral Education first and foremost in order to continue to unite the world, and second, to elevate it to the Creator. We are found in a unique situation, for we have received a unique awakening from above, and therefore it has brought us to connection (S), to Kabbalah, to study. And from this condition, we must be occupied with our dissemination. In principle, the entire world today is in crisis and it depends only on us if it will understand what this crisis is and what its purpose is. In the end, we, as the chosen and unique part, must take this entire world and raise it together with us to the level of the Creator, to connect it to the Creator. It is possible to do this within the shortest amount of time; everything depends only on us. I hope that we understand that the solution is in connection and that the right connection can exist only through us, and that we will seriously begin to be involved with the dissemination of integral education and learning. Question: I think a contemporary person needs to have a clear understanding of what is happening in the world. He is absorbing a stream of information about natural disasters, tragic events, and social problems, yet has no clear picture of what is going on. Answer: Of course, we have to see the entire system in general. But a contemporary person doesn’t yet feel the universal fear for the future. 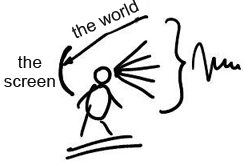 For this, he has to be on a completely different level, have a wider world-view, and be able to see distant horizons. In my opinion, this fear will appear in simple people when nature will begin to awaken us through serious disasters that will shake a person: Something unprecedented is approaching you and you are unable to avoid it. It’s possible to somehow soften, conceal, run away or hide from what happens in a society. A person still doesn’t feel like a cornered rabbit that sees an approaching boa. In this state, we won’t be able to do anything because nature itself will shake us in order to bring awareness that all this is fatal, ruthless destiny. It’s desirable that the person realizes this picture not at the time of the action itself, when the disaster is already unavoidable, but beforehand, in order to describe it and to understand how to avoid it. We have to show all this in the Integral Education textbook, talking about the nature of egoism itself and how in our world we cannot fix it by any means for we don’t possess the tools for this. We are driven by the desire to fill, to satiate ourselves, even at the expense of others. Or we simply want to humiliate others since when we rise above them, we feel more comfortable. This is an immense egoistic force that works in all directions. The ego is the only force of nature. All the physical, chemical, biological, and genetic laws are only derived from the ego. Our entire world is one big ego. This is the desire to receive, to be filled, the desire to absorb, to be strengthened, to reach maximal satisfaction, and so forth. In addition, I constantly feel and measure my state relative to the environment. If I have one stick in my hand and my neighbor has two, I already feel hurt. It follows from this that there is no power in the world that can somehow curb the ego. So where is the second force that will be ready to balance it? That is specifically what we must now find. One can find this force only in a society organized in the right way. When such society is looking at the approaching tsunami, it begins to unify so that within the right connection between them they will discover the general altruistic attribute, whereby everyone is included in the others and becomes one collective whole. And this force will oppose and stand up to both the individual and collective ego. When we hold in our hands the two forces and can use them correctly, we will attain the balanced system, the right relationship in regard to ourselves, society, nature, and the world.